We had heard it, that simplicity is a beauty. If you also take it correct and want that your piece of furniture will possess all those finishing touches that are hard to get offline, then you can choose from the bed designs available here. 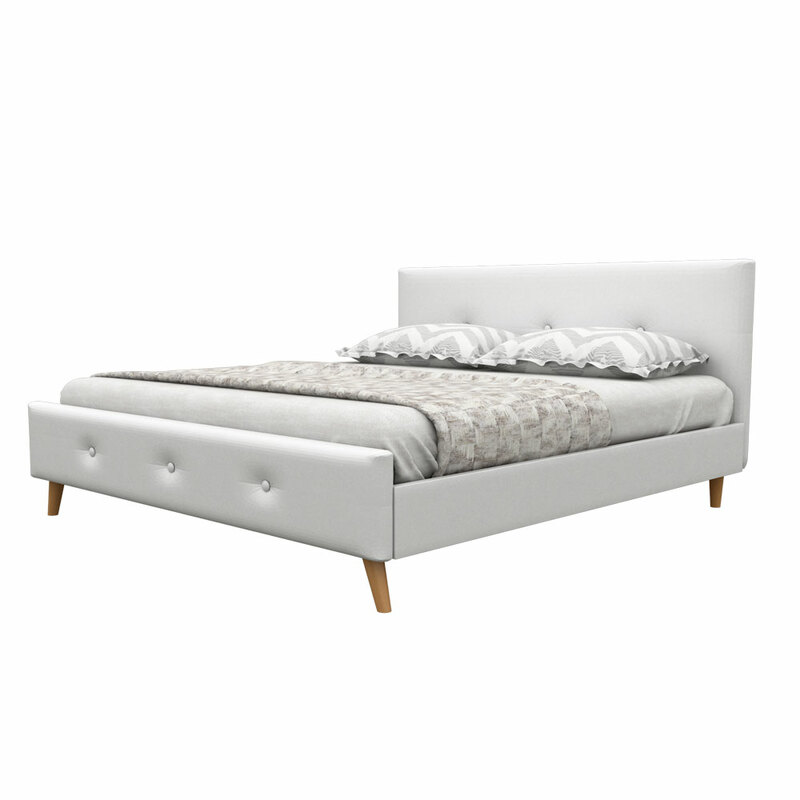 This Modtuf king size bed with the perfect white leatherette will add a perfection to the décor of your bedroom. Simple but royal wooden frame possesses the qualifying qualities that will work accordingly to the décor in your area. Buy this bed online in two different sizes i.e. king size bed with 210*193 cms dimension and queen size bed with 210*170 cms dimension. 2. 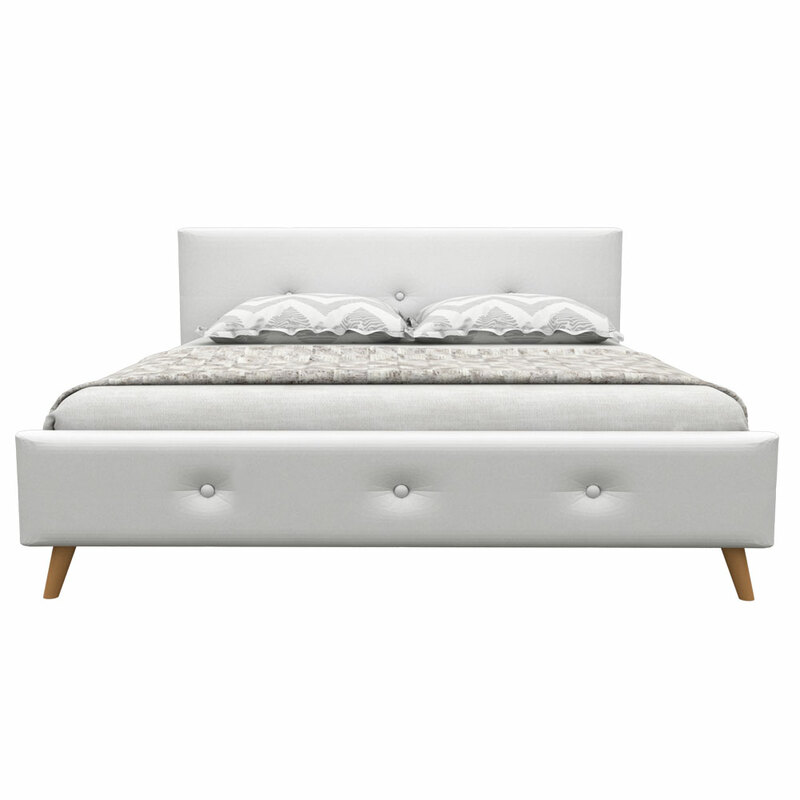 King bed size (L x W) : 210 x 193 cms ( 6.8 x 6.2 feet). 4. Total Bed height with Headboard: 95 cms. 7. 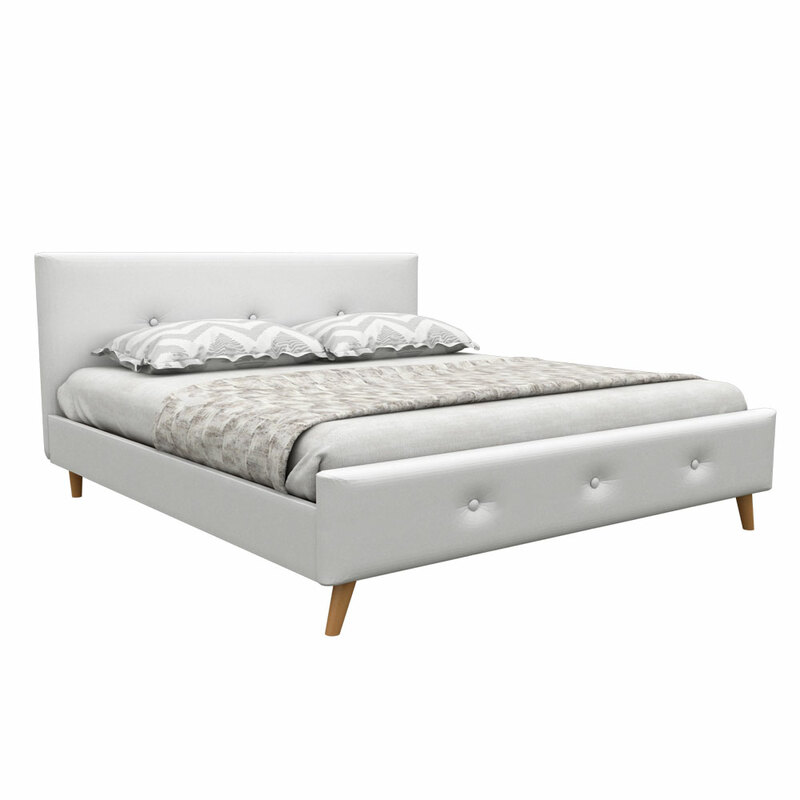 Headboard, Footboard, and sides are fully upholstered in high-quality soft leathertte.